New ticketing systems, apps, bus restaurants and more: French tourism has some shiny new updates for 2019. Here’s how to make the most of them. France has a rich history, an impressive infrastructure and a tourism industry trying valiantly to cope with its big crowds. Travelers who plan ahead enjoy big rewards. Paris’ most famous landmark, the Eiffel Tower, has a new look. A glass wall now rings its base for security reasons, with one access point at each side, meaning you can no longer wander freely under the tower. Visitors should allow an extra 30 minutes to go through screening. Also, summit tickets for the top are no longer available on the second level of the tower; it’s smart to buy them online in advance. Paris continues to upgrade its many marvelous exhibits. The Cluny Museum, with its famous “The Lady and the Unicorn” tapestries, is undergoing a multiyear, room-by-room renovation. Expect some changes and room closures until at least 2020. The Parisian transportation system is also getting some improvements. After a century of paper tickets for the Metro and buses, smartcards are slowly taking over, including the Navigo Easy Pass, which is better for travelers, as it can be shared and topped up. At the Cathedral of Notre-Dame, timed-entry tickets are now required for the tower climb, even if you have a Paris Museum Pass. Reservations are available only on the same day (starting at 7:30 a.m.) on the JeFile app or at ticket machines on-site. Another Paris landmark, the towering and modern La Grande Arche de La Defense, has reopened, allowing visitors to take an elevator to the top. While it’s pricey, and there are better views elsewhere, just visiting the La Defense district gets you into a fascinating slice of Paris that most tourists miss. A new trend in Paris dining is “bus restaurants.” Diners listen to soft jazz as they glide along Paris’ most famous boulevards on an elegant double-decker bus. For about the same price as a dinner cruise in a boat on the Seine, you can dine for two hours with Paris rolling by outside your window (www.bustronome.com). Northwest of Paris, the towns of Normandy are getting ready to commemorate the 75th anniversary of the D-Day landings on June 6. Throngs of visitors will make this a difficult time to be there, and accommodations near the beaches are already booked up. Fortunately, in high season, guided tours in English will be offered for free (or very cheap) at the following key WWII stops: Arromanches, Longues-sur-Mer, American Cemetery at Omaha Beach, Pointe du Hoc, Utah Beach Landing Museum and Juno Beach Centre. I love France’s high-speed rail system, and now it’s better than ever. With the completion of a high-speed line to the city of Rennes, the trip from Paris to the spectacular island monastery of Mont St-Michel now takes only three hours: about two hours on the train to Rennes and then an hour on a railway-run bus, which drops you right at the island’s main gate. 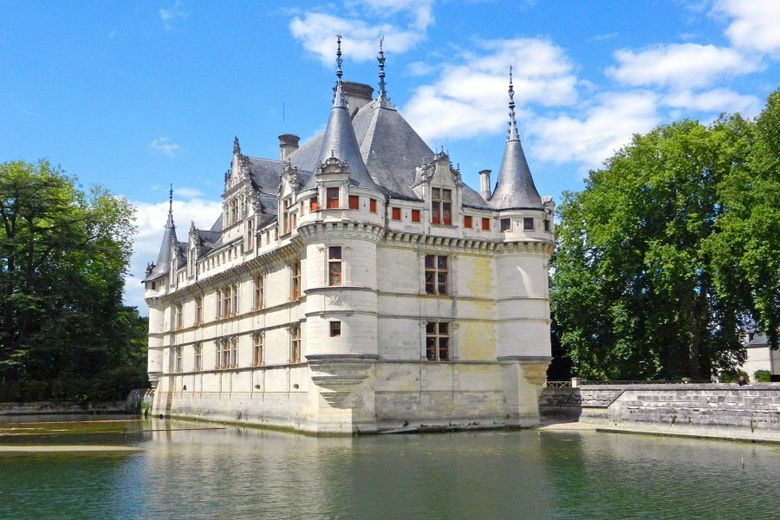 There’s also some good news for chateau lovers: Construction work is finally complete at the Loire Valley’s Chateau d’Azay-le-Rideau, which is set on a romantic reflecting pond, with a fairy-tale facade and beautifully furnished rooms. Like other popular destinations, France is dealing with the damaging effects of heavy tourism. In the Dordogne, the Grotte de Font-de-Gaume prehistoric cave — one of the only caves in France where you can see original drawings, not replicas — no longer accepts reservations, making it next to impossible to get in. Local guides may have access to tickets — contact a guide at least six months in advance. As a much less frustrating and equally impressive alternative, consider the replica caves at Lascaux. To the south in Nimes, the Roman World Museum is finally open after a decades-long wait. High-tech exhibits show off 5,000 artifacts in an eye-catching, state-of-the-art building next to the Roman arena. One of its strengths is its rich collection of Latin-inscribed stones and mosaics — some discovered when digging the museum’s parking garage. 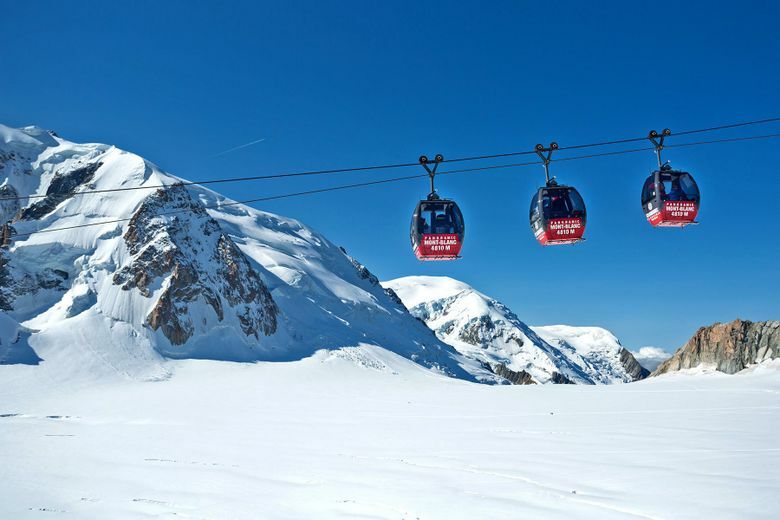 In the alpine resort of Chamonix, the valley’s most spectacular lift, the Aguille du Midi gondola, takes you to magnificent views at 12,602 feet — and each year its popularity seems to climb as well. To beat the crowds (and afternoon clouds), it’s best to ride the lift early — no later than 8 a.m. (reservations are unnecessary if you arrive at the lift before 7:30). And in happy news for small, family-run hotels and bed-and-breakfasts — and for savvy budget-conscious travelers — French hotels listed on third-party booking websites no longer have to match those prices on their own websites, allowing them to offer lower rates or special upgrades if you book direct. Equipping yourself with good information — and using it — will save you time and money. And that leaves you more time and money to enjoy the many attractions — historic, scenic, edible and drinkable — that make France such a rewarding place to experience.